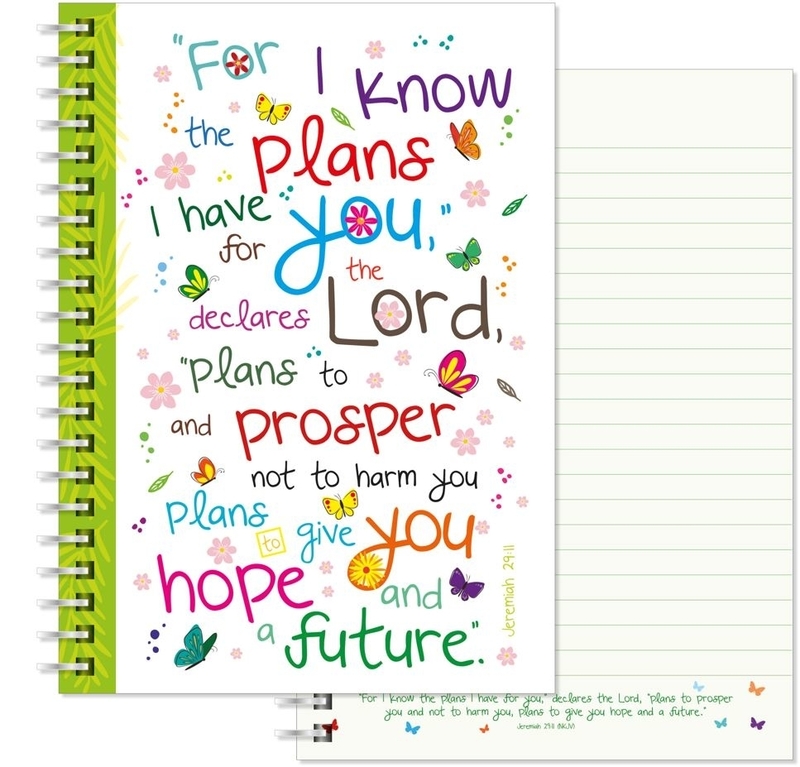 For planners, doodlers, notetakers and writers alike, this bright and colourful notebook reminds you that God has a plan for your life. Want a daily reminder of God's love? '"For I know the plans I have for you," declares the Lord, "plans to prosper you and not to harm you, plans to give you hope and a future."' is displayed on this notebook in multicoloured writing. It has a white background and little graphics that depict flowers and butterflies. The inside covers are orange/red and also have butterfly graphics on them. I Know the Plans A5 Notebook was published by Just Cards in April 2016 and is our 493rd best seller. The ISBN for I Know the Plans A5 Notebook is 5060427971807. Be the first to review I Know the Plans A5 Notebook! Got a question? No problem! 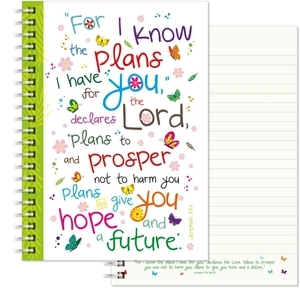 Just click here to ask us about I Know the Plans A5 Notebook. Does it have a bible quotation on every page? Does it have a bible quotation for on every page? Could you tell me Please is this a lined notebook? Does it have lined on every page? What about a margin? A:Every page is lined. There is no margin on the pages. Thank you for using the Q&A Forum. Is the front of this notepad hard bound or soft bound, and how many pages does the notepad have please? A:This Notebook has 80 pages and is bound with a laminated paperback cover. Thank you for using the Q&A Forum.